One of the first things I was asked to grill when I started working at Weber was a chocolate cake. I was shocked to learn you could bake on a grill, but you can and it’s so easy and delicious! 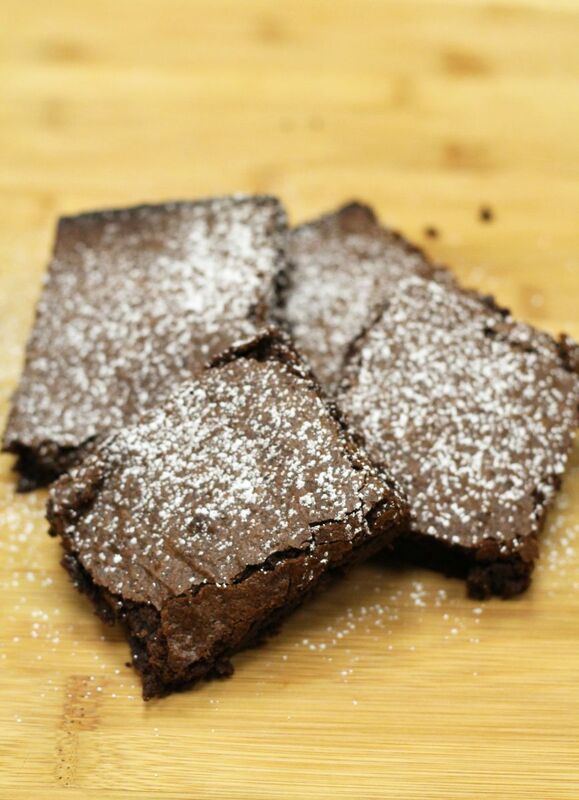 One of my favorite things to bake is Espresso Brownies and they’re even better when baked on the grill. If you don’t love the flavor of espresso just leave it out of the recipe, but I think coffee really enhances the flavor of chocolate so give it a whirl if you haven’t tried it before!
. If you’re using a charcoal grill divide the charcoal onto either side of the charcoal grate leaving the middle of the grate empty for your indirect cooking zone. Use the damper on the lid to control the temperature of the grill. Then follow the recipe as directed. 1. Preheat grill over indirect medium heat to 350 degrees. 2. Line a 13x9-inch pan with foil. Let ends of foil extend over the side. Spray lightly with cooking spray. 3. In a small bowl, stir together espresso powder and water until a thick paste forms. 4. In a large bowl microwave-safe bowl, microwave the chocolate and butter on high for 2 minutes, or until the butter is melted. Stir until chocolate is completely melted. Stir in the sugar, eggs, vanilla and the espresso mixture. Add flour and stir until the mixture is thoroughly combined. Pour the mixture into the prepared pan. The mixture will be thick. Use a spatula to spread the batter evenly across the pan. 5. Place pan on the grill over indirect heat. Close the lid and let the brownies bake for 30 minutes or until a toothpick inserted in the center comes out clean. Remove the pan from the grill and let the brownies cool completely before using the foil handles to remove the brownies from the pan.